Want to get your kids interested in gardening? 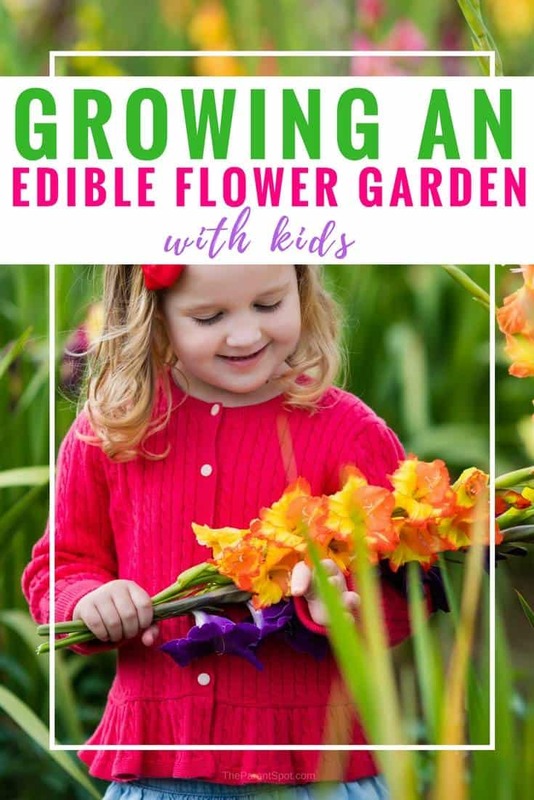 Try an edible flower garden for kids! I can’t think of a much better idea than getting them growing fun food that they can eat and enjoy themselves! My little one, who’s nine, is absolutely in love with the idea of edible flowers. And I honestly can’t blame her, edible flowers add some fun, and definitely some beauty, to almost any dish! I have to admit that we don’t cook a lot with flowers (yet! ), as we tend to stick to pretty berries in a lot of our desserts (like in this chocolate berry cake with whipped cream!). We’re changing that this year, as we’re planting several of the flowers in this list in our own little garden. Edible Flower Garden For Kids – What should you grow? Some people are surprised by the variety of edible flower choices available. There are hundreds of edible flowers (though fewer that are common and easy to grow), but there are still lots of tasty options for incorporating flowers into your menu. Here are a few possibilities to get you started. We’ve listed the most easy to grow and common edible flowers here, just to keep this edible flower garden for kids simple and fun! You’ll likely need an outdoor garden plot for zucchini, as the plants can grow very large. However, all of the other edible flowers below can be easily grown inside, making gardening with your little ones much easier. Important! Although many flowers themselves are safe to eat, some insecticides that may be sprayed on them are not. Make sure that you eat the flowers of plants that were grown for human consumption, or that you grow the flowers yourself with only safe insecticides or pesticides! 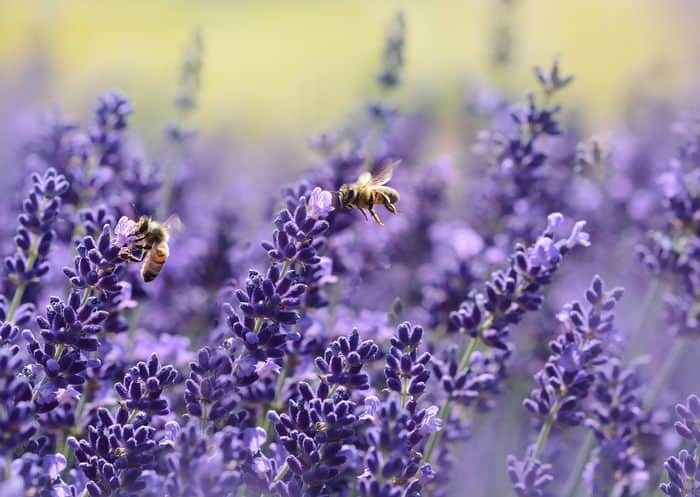 Lavender has a sweet, perfume-like flavor. This makes it the perfect pairing for decadent desserts like chocolate cake and homemade vanilla ice cream. Another option is to sprinkle a few lavender petals in a glass of sparkling apple juice for the kids, or champagne for the grown ups, adding a tasty and colorful garnish. 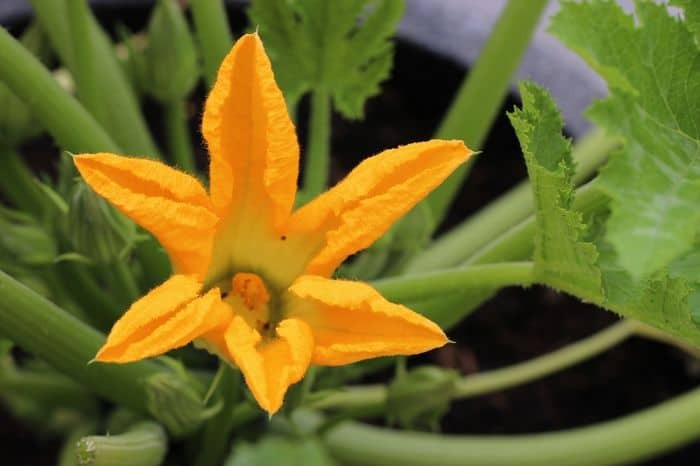 Zucchini blossoms, the delicate yellow flowers of the zucchini plant, are traditionally prepared with herbs and goat cheese. They’re also a great topping for pizzas. The flavor is subtle and slightly sweet. The first time I tried zucchini blossoms at Greek restaurant I was skeptical, as they were cooked and wrapped around a filling of goat cheese, but they were delicious! Of the ten or so Greek appetizers our table shared that night, the zucchini blossoms were my favorite. Hibiscus flowers are both sweet and tart with a flavor that’s somewhat similar to cranberries. How cool is that for cranberry lovers? Enjoy them with beverages such as tea, margaritas and other cocktails. Hibiscus blossoms have a striking appearance, and look a lot like okra blooms (which are also edible). 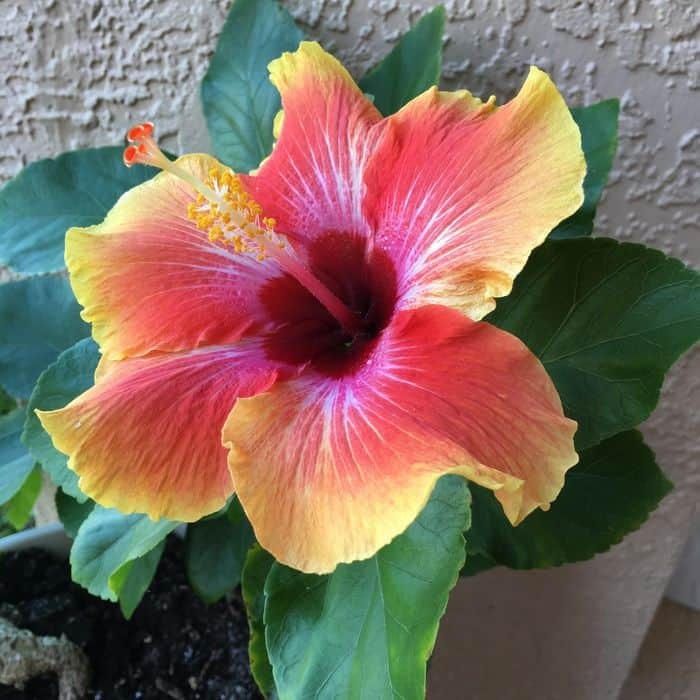 The hibiscus flower does a great job of bringing beauty to the table, and kids will love the large, colorful blooms! Roses are a popular edible flower option, especially when it comes to baking. They have a mild flavor that also lends itself well to recipes for soup, jam, and tea. Are you in the mood to serve something different at your next social gathering? Create excitement with rose-infused cocktails. You may want to stay to thornless varieties when you’re growing roses with kids, but that will limit the colors and flavors you can grow. 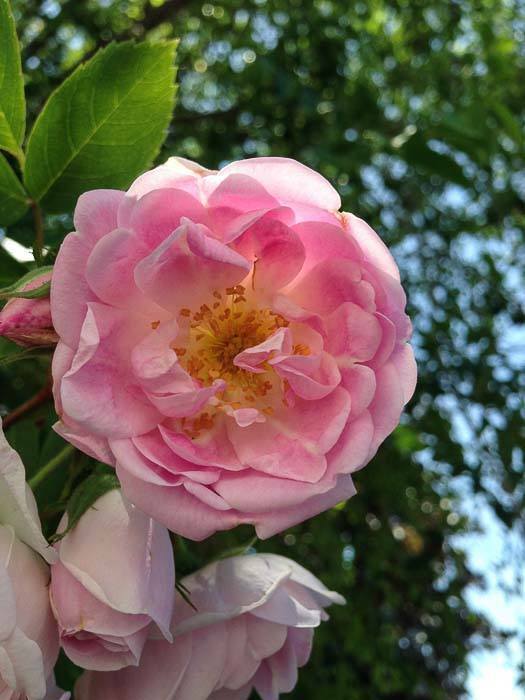 We’ve grown these pretty, heavily scented, pink roses in our backyard for a few years now, and we just made sure to have an adult pick the blossoms until the kids were old enough to do it themselves. My little daughter loves her bath, and she adds these beautifully scented pink rose petals to her bath as a special treat when they’re in season! 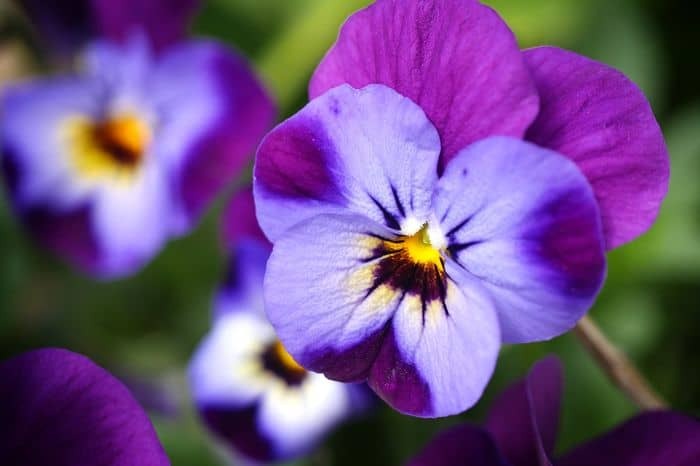 Violets come in a variety of vibrant colors, which make them perfect to use for presentation purposes. They have a sweet, floral taste perfectly suited for many types of desserts. You can even coat these blossoms in powdered sugar to create a colorful topper for a cake. My kids are especially happy to help with any task that involves sugar. While most people know sage best for the savory leaves, the sage flower is also edible, and also very pretty. The delicate blue, white or pink flowers of the sage plant have a mild flavor and are good in salads. The subtle flavor of sage flowers mingles well with many different dishes. They are commonly paired with pineapple and are an excellent ingredient to add to garden-fresh pesto. For us, the flowers above are the easiest flowers to grow for our fun kids flower garden! All of the flowers above are edible, but there are others you may want to consider, like calendula (the poor man’s saffron alternative), pansies, scented geraniums, gladiolus flowers, daylily and nasturtium. We mostly use edible flowers as a garnish, but it’s a lot of fun for kids to simple eat the edible flowers straight from the plant. If you’ve never tried growing edible flowers, why not consider creating a children’s edible flower garden? It’s a fun and beautiful, way to add pizzazz to the menu, and to have a lot of fun with the kids as well. Want more gardening love? 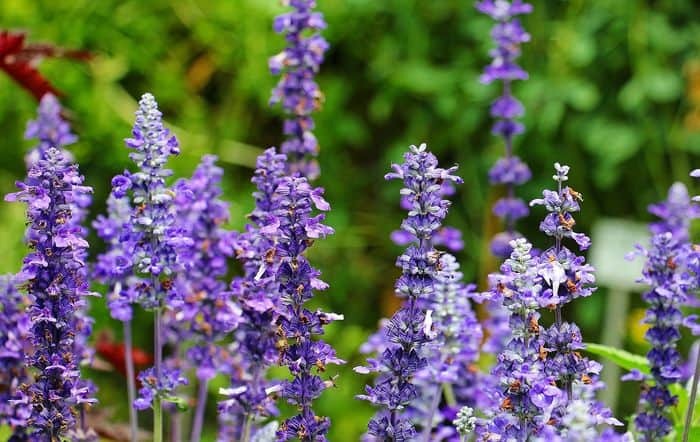 Check out our best perennials for shade and easy landscaping tips. Hello, making kids interest in gardening is very difficult. 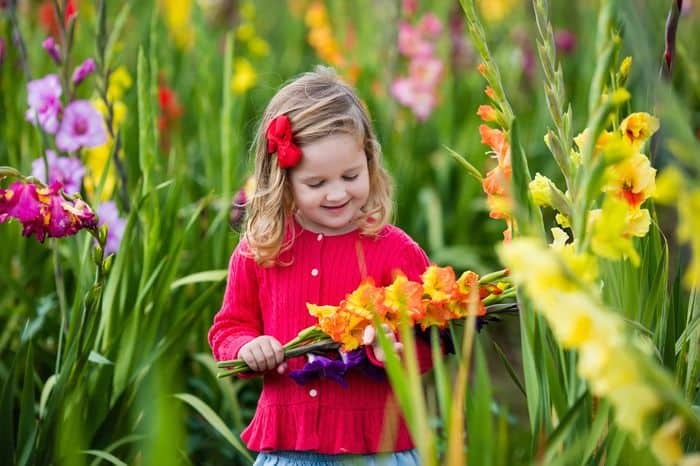 I also think edible flower gardening for my child interest, but confused in choosing the best edible flower. Thanks for sharing the great edible flowers list in your blog. Keep posting! My kids are always keen on gardening activities and stuff. I am like WOW! That’s hard to find these days. Sometimes it is difficult to manage it with kids around you trying to create a mess. But in my case where they are already interested and keen to follow, I can say these tips provided my you gonna help a great deal. Thanks for such a nice blog post.